I bet that your grocery list in the US always had Fruit Roll Ups on it. It is the perfect way to get your picky eater to get a healthy serving of fruit in their diet. They come in so many flavors and colors. I remember twisting them on my index finger as a kid and sucking on them until all that was left was a gooey mess. You cannot deny they are delicious and for about $2 a pack they’re a good price too. Fruit Roll Ups are just one casualty of expat life. Don’t get me wrong, you can find them and you can find anything- for the right price. Yesterday the expat store across the street was selling a box of Fruit by the Foot for 155RMB (That’s about $25) for 20 of them. For 144RMB ($22) you can order Frankenberry Fruit Roll Up on Taobao. WOW!!! It’s expensive but is it worth it? Let’s check out the ingredients for Strawberry Fruit Roll Ups…. Anyone notice strawberries mysteriously missing from the ingredients list? Corn Syrup AND Sugar? A bit much in the sweet department if you ask me. Throw in Partially Hydrogenated Cottonseed Oil and that’s all I need to see to realize that at $2 or $22, Fruit Roll Ups are not a healthy option, regardless of its name. So why not make it yourself? It cannot be that hard right? RIGHT! It’s really easy to make your own Fruit Roll Ups and since you’re doing it yourself you can control what you put inside to make sure that your children are getting a proper fruit serving. Not to mention you probably have everything you need to make them, even if you have a bare boned expat kitchen. Food processor or blender, baking pan, spatula, parchment paper, scissors and let’s not forget the star of the show… seasonal fruit. Select seasonal fruit as they will provide the best flavor. 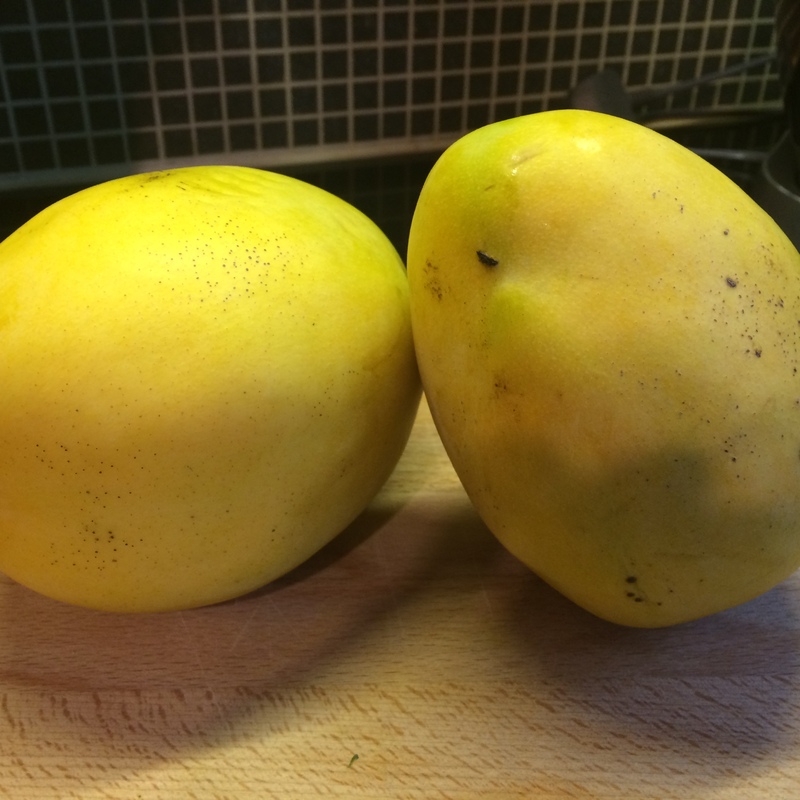 This week at the market, my fruit lady showed me lovely mangoes that were piányi (cheap in Chinese). BINGO! I’ll make Fruit Roll Up with mangoes! 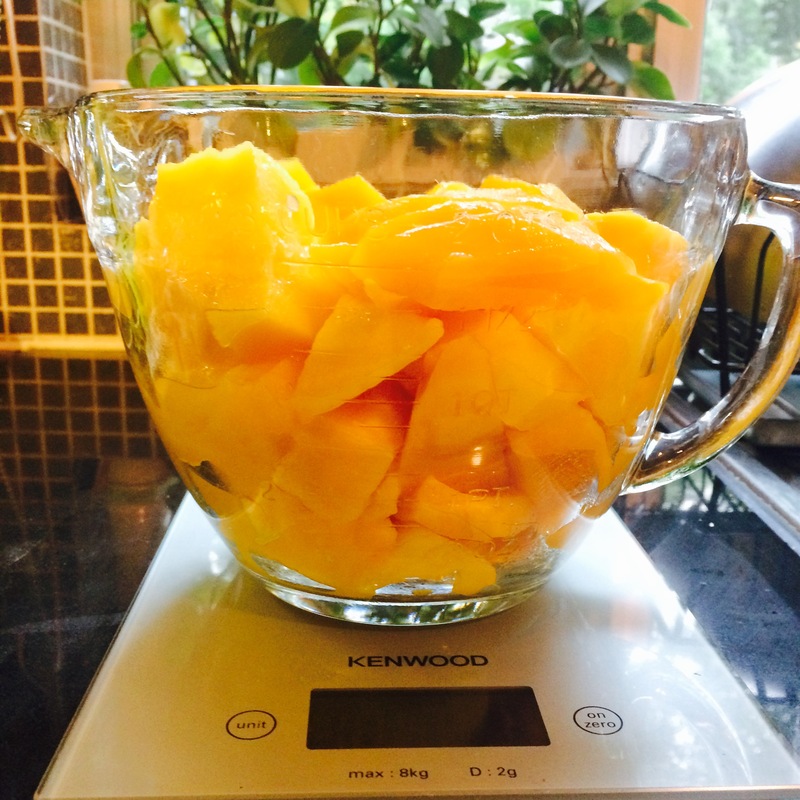 I picked up 2 large Mangoes for 40RMB ($6.29) and found an easy to follow recipe by Just a Taste. The ingredients are simple… MANGOES. That’s it! No partially hydrogenated oils, corn syrup or even sugar. Simply Mangoes! Keep in mind before you set out on this adventure that the process will take about 4 1/2 hours, but do not let that deter you. Preheat the oven to 175ºF and line a half-sheet baking sheet with Silpats or parchment paper. Pour the puree on the prepared baking sheet, and using an off-set spatula, spread the purée as flat and as evenly as possible until it’s about 1/8-inch thick. Bake the purée for 3 to 4 hours. The fruit roll-ups are done when the purée is dry to the touch and pliable. If the bottom side of the roll-ups is still wet after some time, flip the roll-ups over and continue baking them until they are fully dried. Remove the roll-ups from the oven. Place a piece of wax paper on top of the roll-ups and then peel off the wax paper and the roll-ups together. Cut the sheet into long strips and then roll up the strips. Preparing the Fruit Roll Ups was beyond easy. I ended up making 8 cups of mangoes so I decided to be creative. One pan was simply mango and the other I added 6 shelled cardamon pods to enhance the flavor. The pods didn’t grind up enough in the food processor so the next time I’ll use ground cardamon. The tricky part was getting my oven to stay at 175ºF. 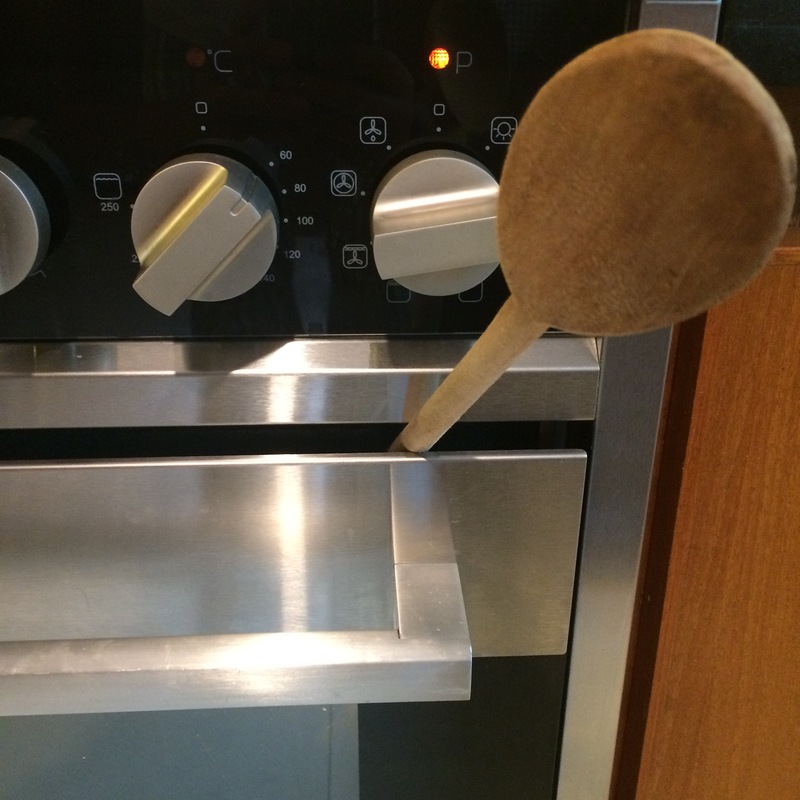 I ended up putting a wooden spoon in the door to get to 175ºF. It took 3 1/2 hours to dehydrate the mangoes. 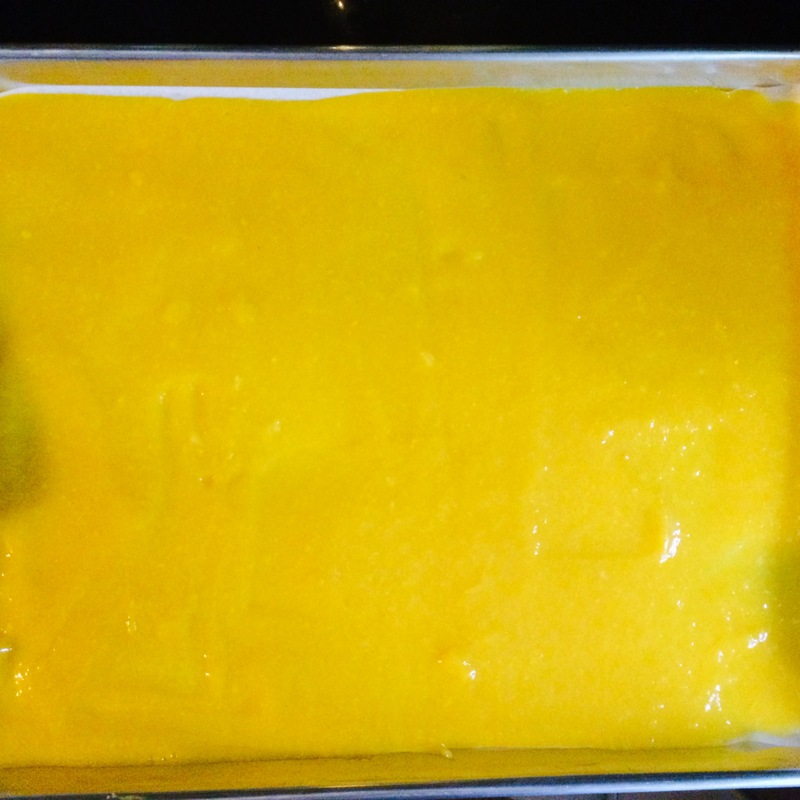 When I removed it from the wax paper, the bottom side of the mangoes was still wet so I put it back in the oven for 60 minutes. Once the mangoes are dry, cut them in even strips and roll them up then store them in an air tight container. Since there are no preservatives, you’ll need to gobble these up within a week, but I have a feeling they won’t last that long!